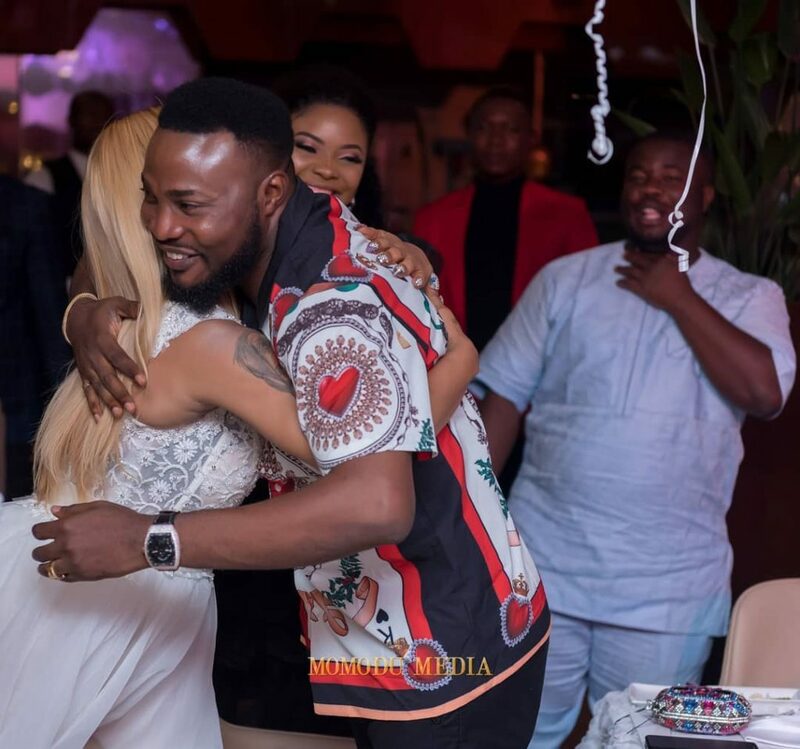 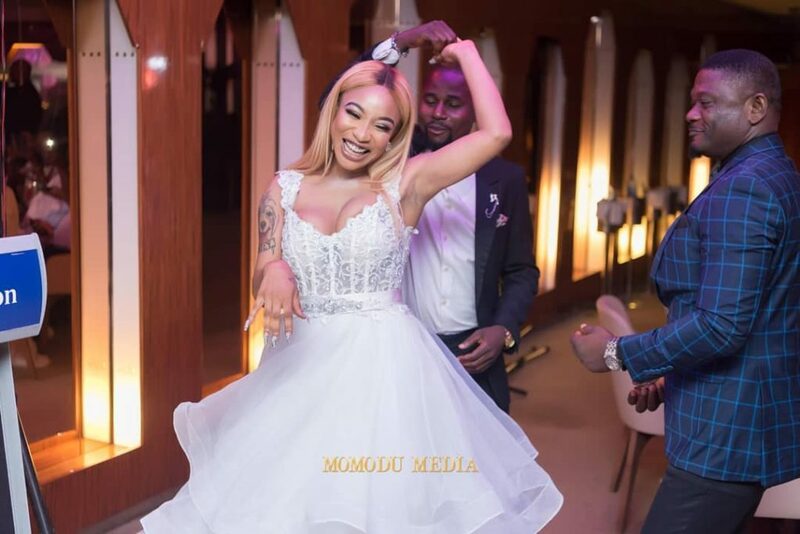 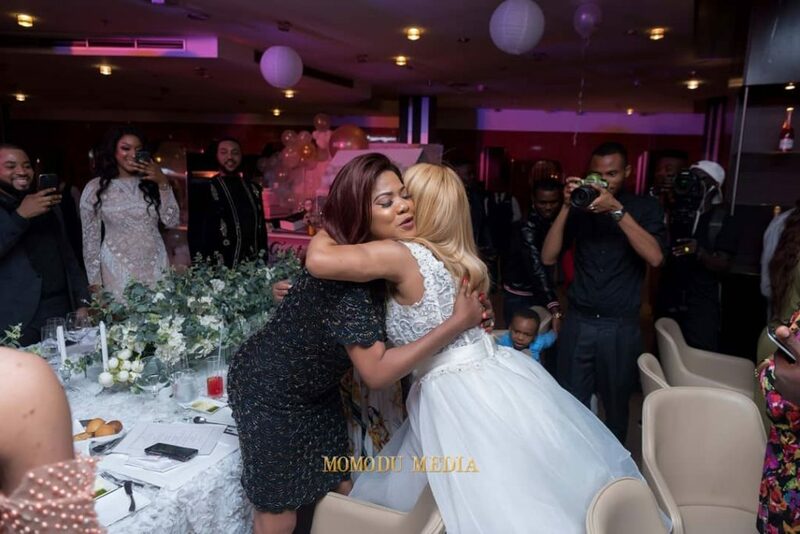 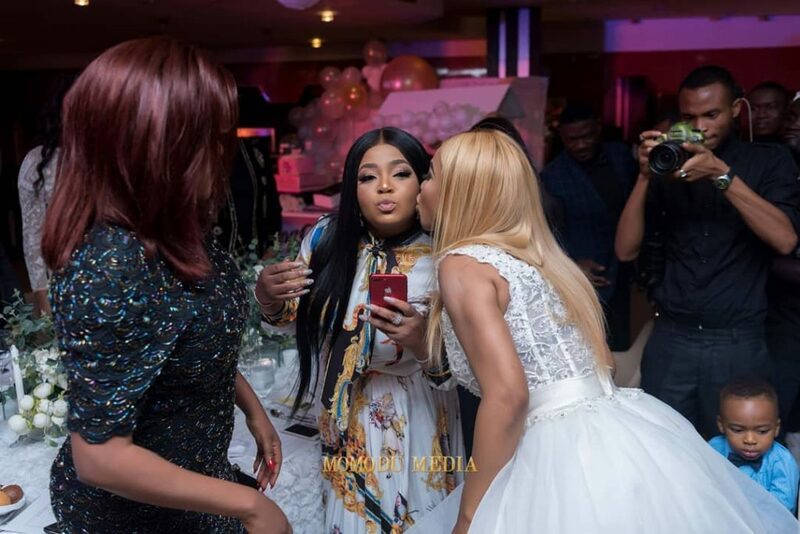 Nollywood actress and philanthropist, Tonto Dikeh celebrated her birthday last weekend and the event is still buzzing over the media as more photos from the event are still being released. 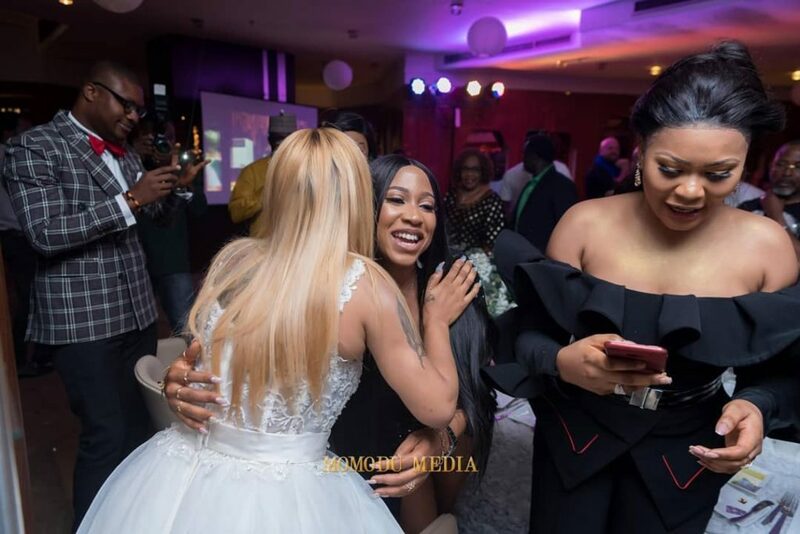 Tonto Dikeh turned 33 and had a grand birthday celebration in Abuja with friends and colleagues. 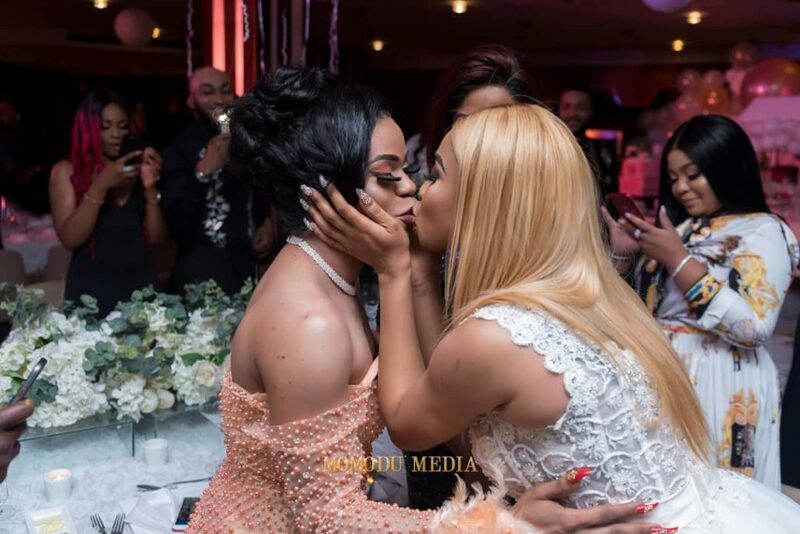 One of the highlights of the birthday event is Tonto being captured sharing a kiss with Nigerian cross dresser, Bobrisky. 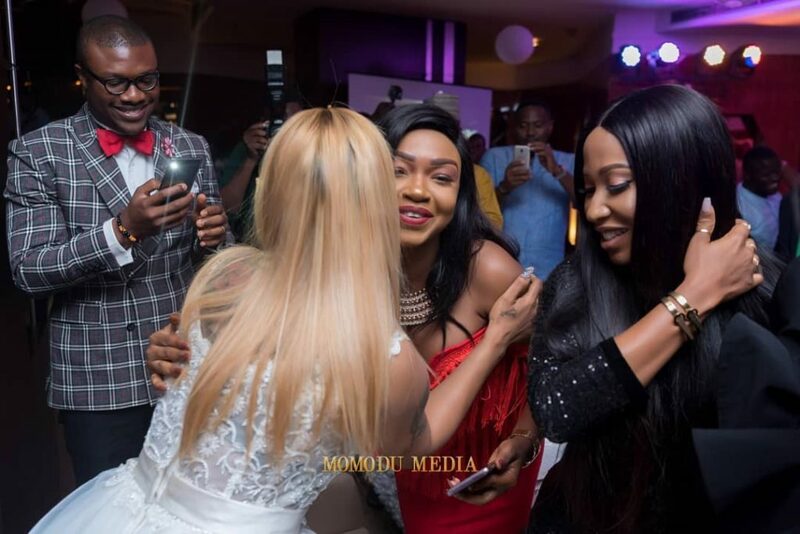 In attendance too were fellow actresses Toyin Abraham and Halima Abubakar. 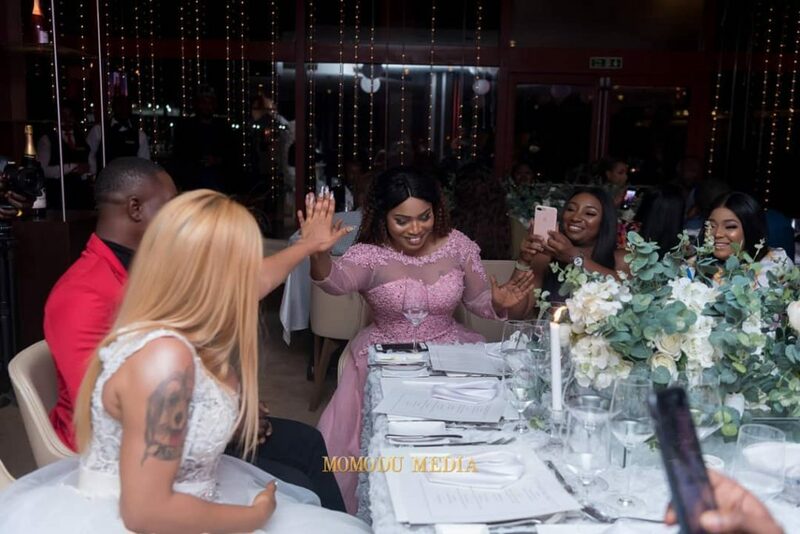 The single mother of one shared photos from her birthday event on her Instagram page.